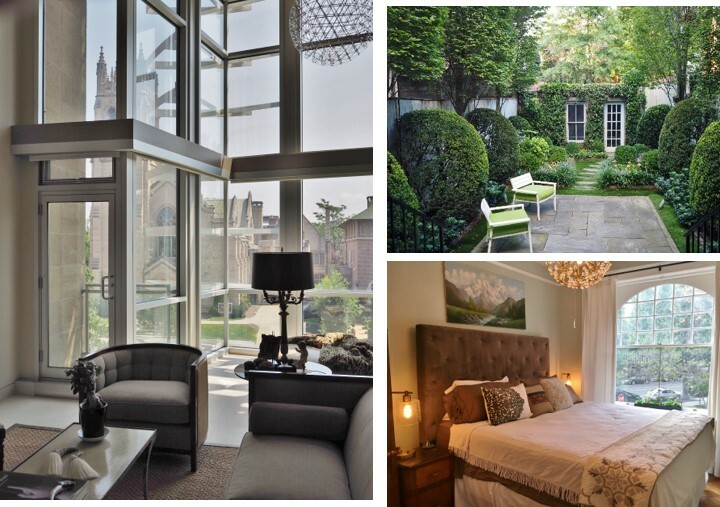 “The Dupont Circle House Tour will be Sunday, October 15th from 12:00-5:00 p.m. Celebrating its 50th year, the house tour will highlight the Avenue of the Presidents: 16th Street NW. Tour goers will explore the corridor’s varied architectural buildings ranging from four-story row houses to apartment buildings, Embassies, institutional buildings, and churches. Included in the tour is an afternoon tea at the Temple of the Scottish Rite. Designed by John Russell Pope (who also designed the National Archives and the Jefferson Memorial), the temple was constructed between 1911-15, and was modeled after the tomb of King Mausolus at Halicarnassus. “​The Dupont Circle Citizens Association will hold its 50th Annual House Tour on Sunday, October 15 from 12 to 5 pm. This anniversary tour highlights the Avenue of the Presidents: 16th Street NW. As one of the most important numbered streets in the Capital City, the 16th Street Historic District stretches from Scott Circle to Florida Avenue. This stretch of 16th Street represents one of the best-preserved and visually interesting late-19th-early 20th-century streetscapes in DC. The imaginative, varied facades of these buildings create a rhythmic streetscape and a continuous visual experience seldom so well preserved in the District of Columbia. Tourgoers will explore the corridor’s varied architectural buildings ranging from three- and four-story rowhouses and apartment buildings, to Embassies, institutional buildings, and churches. In this year’s set of homes, unique collections and stunning art abound. The latest in gleaming kitchens and a top-of-the-line wine cellar go hand in hand with historic interiors. Balconies, roof decks, a winter garden and charming park-like backyards round out the view. Included in the tour is a lavish afternoon tea at the Temple of the Scottish Rite. Designed by John Russell Pope (who also designed the National Archives and the Jefferson Memorial), the temple was constructed between 1911 and 1915, and was modeled after the tomb of King Mausolus at Halicarnassus. In 1931, the building was voted the fifth most beautiful building in the world by a group of members from the Association of American Architects. “We invite people to come and stroll our tree-shaded streets, and enjoy this rare opportunity to see what’s behind the facades of some of the most magnificent Dupont Circle homes and historic apartment buildings,” Ms Diener said.